JUST REDUCED!! SINGLE STORY POOL HOME WITH CIRCULAR DRIVEWAY!! COMMUTER FRIENDLY!! CLOSE TO THE 15 FREEWAY AND ST MARY'S HOSPITAL! !Come take a look at this Excellent Single Story Apple Valley Pool Home For Sale. Located in a great area of Apple Valley, this well built home offers over 2000 square feet of indoor living space with over half acre lot and a circular driveway. Double front doors lead you into this spacious home with a large open floor plan. Inside you will find a large kitchen with lots of cabinets and counter space, a large indoor laundry room with storage, and large living room and dining room areas. Along with a super spacious family room with built in shelf. 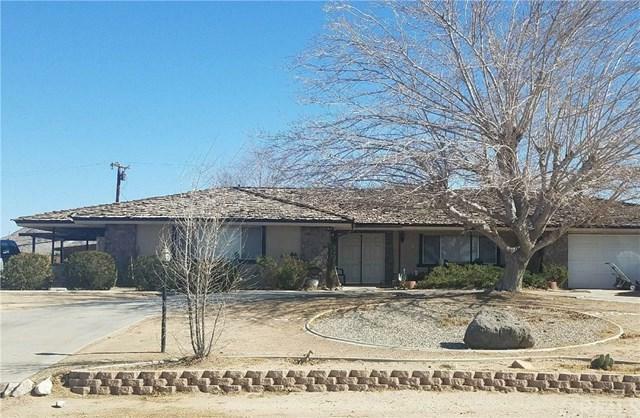 This home has 3 large bedrooms and 2 bathrooms with tile and carpet throughout. The Master bedroom offers a large nicely tiled bathroom and access to an outdoor patio. Outside you will find a huge backyard, and a large swimming pool as well as outdoor patio spaces.Home is located in a nice part of the city, close to Restaurants, stores and St. Mary's Hospital and is just minutes away from the 15 Freeway. Home is Sold as Is.